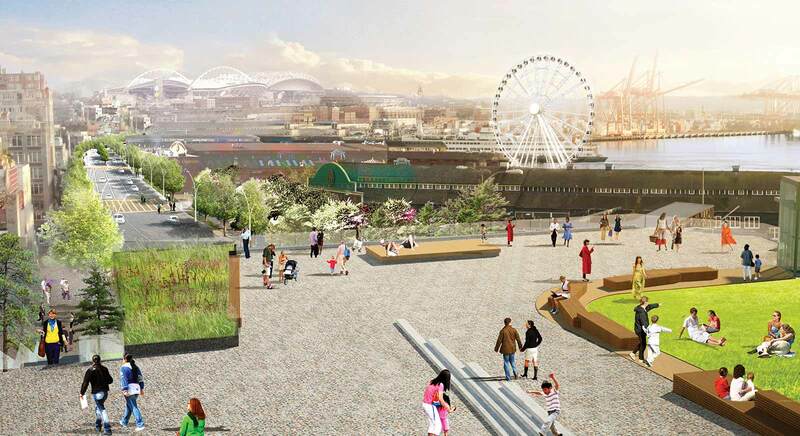 The Downtown Seattle Association fully supports the redesign of Seattle’s waterfront, which is being led by the city of Seattle’s Office of the Waterfront, in collaboration with downtown stakeholders, civic leaders and the broader public. We believe this is a once-in-a-lifetime opportunity to reconnect downtown with our waterfront along Elliott Bay. Once the current seawall construction is complete and the Alaskan Way Viaduct is removed, the waterfront project will commence–linking the new Pike Place Marketfront expansion and Aquarium renovation to a new front door for the city.